Hofstra University received a A-. "Hofstra University offers its largely pre-professional undergraduates superb facilities, competent instruction, and easy access to New York City at an affordable price. The high-profile drama department hosts an annual Shakespeare Festival and New College at Hofstra "focuses on creativity, discussion, and writing" a la the Oxford model. Film icon Francis Ford Coppola is an alum." Describe the type of student who should not attend Hofstra University and explain why. What is a typical Hofstra University student like? Describe the type of person that should attend Hofstra University. A typical Hofstra student is interested mostly on his studies but is not afraid to socialize and have a good time. 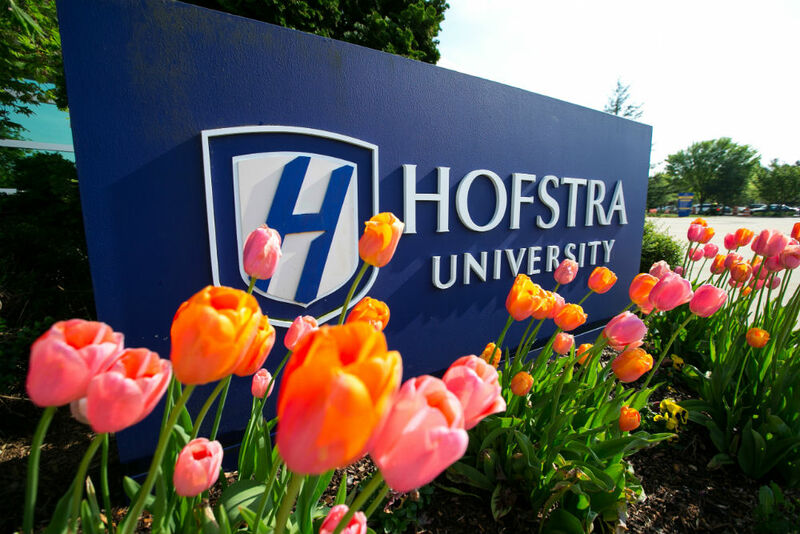 What are the top 3 reasons someone should attend Hofstra University? Hofstra is a great medium sized school with friendly people and caring professors who are very easy to work with. What was a typical Hofstra University student like in high school? Describe the type of person that should attend Hofstra University. Students enjoy study abroad options, research opportunities, and first-year programs that help harried freshman. With its great location and strong academics, Hofstra is an intriguing college choice. Average GPAs and standardized test scores of admitted students have gone up [as has] rejection rates among applicants. Academically and socially, Hofstra aims to prepare its students for success in the outside world. Find your future by choosing from more than 155 undergraduate and 175 graduate programs, in Liberal Arts and Sciences, Business, Communication, Education, Health Professions and Human Services and Honors studies, as well as a School of Law and School of Medicine. The student-faculty ratio of 13 to 1 and a priority on teaching excellence ensures you're part of creating your own success. A diverse mix of cultural, social, athletic and recreational activities delivers the full college experience. Hofstra offers students the opportunity to live and learn on our beautiful, 240-acre campus on Long Island and have easy access to the academic, cultural and career opportunities in the New York City metropolitan area. For more information about Hofstra University, select from the choices below. What are the top 3 things that students do for fun at Hofstra University? While there are many things to do at Hofstra, most students enjoy to sit outside and enjoy the natural scenery and greenery. Hofstra Arboretum's is a huge hotspot. 68% of freshman live on-campus. The average student pays $30,947 for tuition, fees, and other expenses, after grants and scholarships. Total stated tuition is $36,350, in-state and on-campus, before financial aid. Learn more about financial aid at http://www.hofstra.edu/financialaid. Estimate the net price for you at http://www.hofstra.edu/admission/adm_calculator.html. The typical (median) early career salary of Hofstra University graduates is $45,300, according to Payscale. Hofstra University participates in the NCAA Division I-AA for college athletics. Want more info about Hofstra University? Get free advice from education experts and Noodle community members. How easy is it to move around the Hofstra campus? Is there a transportation system I can use to move around the city/town? I want to join a ton of Hofstra clubs. What are some ways I can balance out a social life and clubs? How did Hofstra influence your major? What is it about the campus, the people, and the experience that made you go in that direction? What are some secrets to surviving freshman year at Hofstra? What would your advice be for someone who wanted to take part of the Hofstra study abroad program? What are the dorms like at Hofstra? How does the Hofstra health center help students with stress management? What is public safety like at Hofstra? I have always wanted to join a sorority. What is HOFSTRA Greek Life like? What are the most popular HOFSTRA majors? How popular is the online business program for Hofstra University?